At Curtis Miner Architecture (CMA), education architecture is not simply another building type in our portfolio – it is our passion. 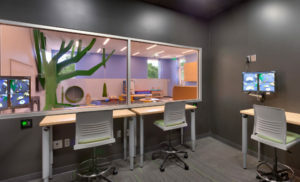 Although CMA has designed numerous schools and educational buildings over the years, we are especially proud to say that designing space specifically for the education of autistic children is a specialty. 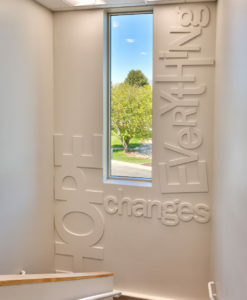 As is typical with all CMA designs, when we started designing facilities relating to autism, we jumped right in and did our research, including interviewing families and teachers to learn about the needs of autistic children. The buildings’ architecture, interiors, and landscapes are all focused on minimizing sensory input, which can overwhelm children with autism. Since common sensory issues experienced by those with autism are lighting, acoustics, and texture, we pay attention to those experiences in these facilities. 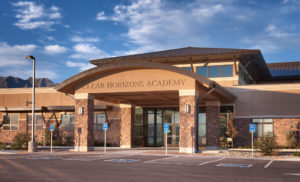 In 2012, we designed Clear Horizons Academy, a nonprofit school funded by the Hurst Wood Education Foundation, whose mission is to transform families and community impacted by autism. 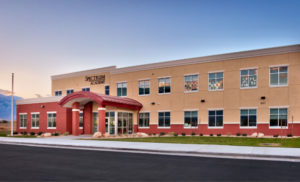 The school provides an educational experience tailored to each student’s individual learning and developmental needs. Spectrum Academy is a Utah Charter School founded by parents who couldn’t find the opportunities they wanted for their children with autism. 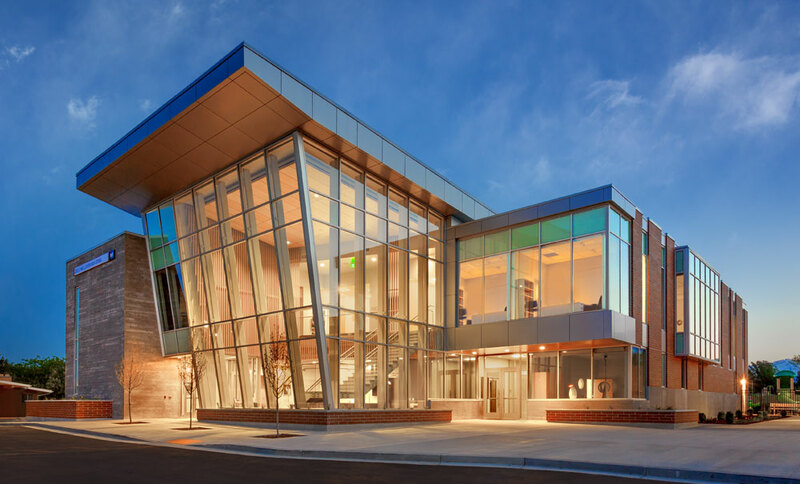 In 2014, CMA worked with the Academy staff to design the school in two phases: Phase 1 provided space for children in Kindergarten through 9th grade, Phase 2 added space for high school grades. Today, CMA is working with the Academy on their campus in North Salt Lake. 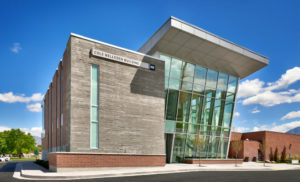 The Utah Valley University (UVU) Melisa Nellesen Center for Autism opened to students and the community in 2017. 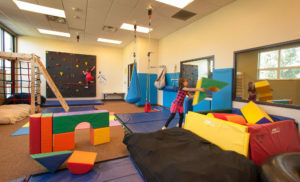 It is the first school of its kind in Utah – designed to educate UVU students on how to teach autistic children, and to provide classes specifically tailored to the needs of the autistic students. According to the US Center for Disease Control and Prevention, Autism Spectrum Disorder (ASD) is one of the fastest growing diagnosis among children. In the United States about 1 in 6 children has an ASD. These disorders range from mild symptoms such as speech and language impairments to more debilitating issues such as intellectual disabilities. Despite the growing population there are few schools that are architecturally designed specifically for the needs of autistic children. Autism is a lifelong condition that requires special education and accommodations. Studies reveal that a high percentage of young adults with autism are unemployed and struggle to live independently. However, research also indicates that early intervention and targeted education programs can change a child’s developmental path and improve outcomes for children, families, and communities. 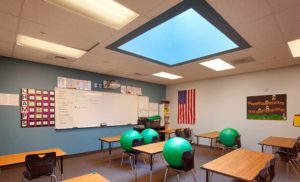 Although architectural design is making great strides in creating educational buildings and surroundings that enhance the learning and development of autistic children; the needs of autistic children is often overlooked in the design of schools and other buildings used by children. There are few existing laws and guidelines regarding architectural design for autistic children. One industry tool that provides assistance to architects and designers is the Autism ASPECTSS™ Design Index. It was developed by Magda Mostafa through her research on inclusive built environments for autism. It is recognized worldwide as one of the first evidence-based set of autism-specific design guidelines. As CMA continues moving forward with the architectural designs of schools and other educational buildings, we design to meet the needs of all students, including the growing autistic student population. We are committed to creating architectural designs that provide optimal learning and development for all students, including those with Autism spectrum disorder.